Small Business Saturday is fastly approaching, and if you’re looking for great deals this holiday season, make sure to support the local mom and pop stores in your community first. While Black Friday is often highlighted as the day for deals after Thanksgiving, Small Business Saturday offers so much more. Small Business Saturday supports local families. If you aren’t familiar, Small Business Saturday is a day exclusive to small business owners. As the movement grew over the years, Small Business Saturday became a way to celebrate the shop owners who work hard and the businesses that make communities around America vibrant. It’s also encourages consumers to shop small and put their money towards a local business in their community, rather than giving it towards a big retailer during Black Friday. Business owners come from all backgrounds and walks of life, and often only work with their families or a few other employees. Therefore, it’s important that they’re recognized for all of their hard work. Small Business Saturday supports your community. Similar to Black Friday, you’ll get a great deal, but even better, 68% of the money you spend goes back into your community. This is because local businesses have to pay taxes (just like you) to your town or city, and shopping small helps to boost your community’s local economy. These taxes then go into public funding for resources like schools, libraries, community centers, and even police and emergency services. Successful small businesses also encourage others to open up shop within your local community, because their profitability will spark interest in other business entrepreneurs or developers. Additionally, a bustling local economy means that everyone work and shop closer to or within their community. With a bustling local economy comes more jobs for residents, sustainable income for families, better property value, and better funding for public resources. Small Business Saturday shapes America. Money isn’t the only way that small and local businesses help to support your community. In fact, many of them are actively involved in community events. Many businesses do this by sponsoring events, providing gear for local sports teams or by contributing to non-profit organizations, such as food banks or youth service programs. Therefore, when you shop on Small Business Saturday, you’re having an even larger impact on your community, because a portion of what you spend will go to important services, charities, and other foundations helpful to those around you. Small businesses are the foundation of our great country. They support dreams and show that with hard work anything is possible. 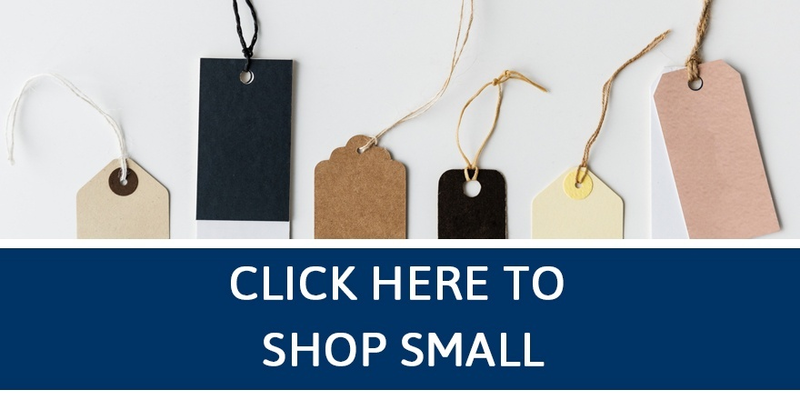 We believe that everyone should shop small and local. To find a list of shops and stores participating in Small Business Saturday near you, click the button below.